Tight Film Foundation is more and more melting than other. !? 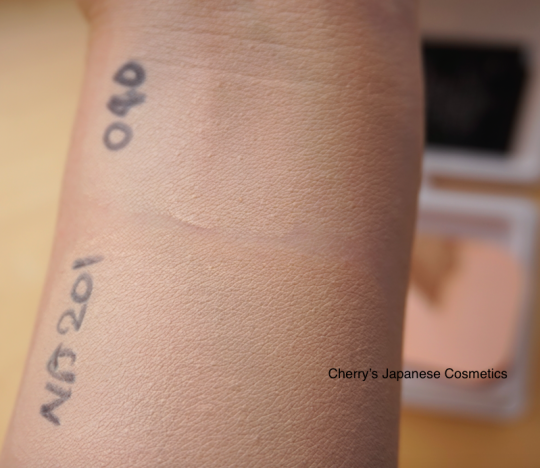 Did I applied the same 040 on my arm?? OK, I focus on each colors. In the picture, I am afraid of you do not see the difference clearly. 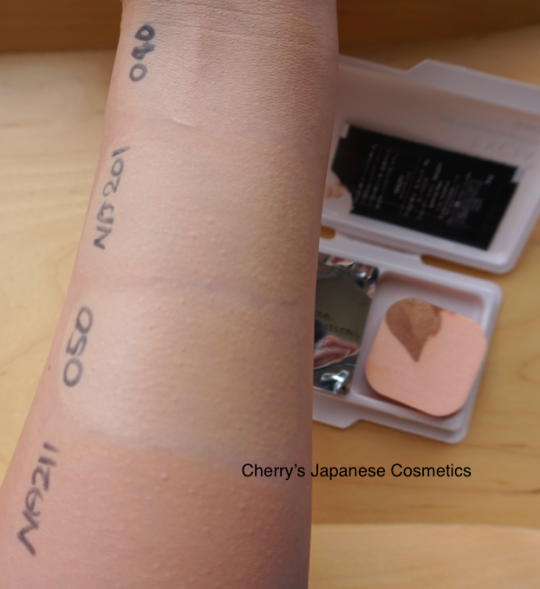 I guess #NA201 of Superior Cream Foundation is Full coverage and #040 of Tight Film is middle coverage, maybe because #040 is the very the shade of my arm neck. The shades are not quite different. In my eyes, I felt #040 is a little bit lighter than #NA201. #NA201 is pinkish. #NA201 is the middle shade of between #040 & #050. 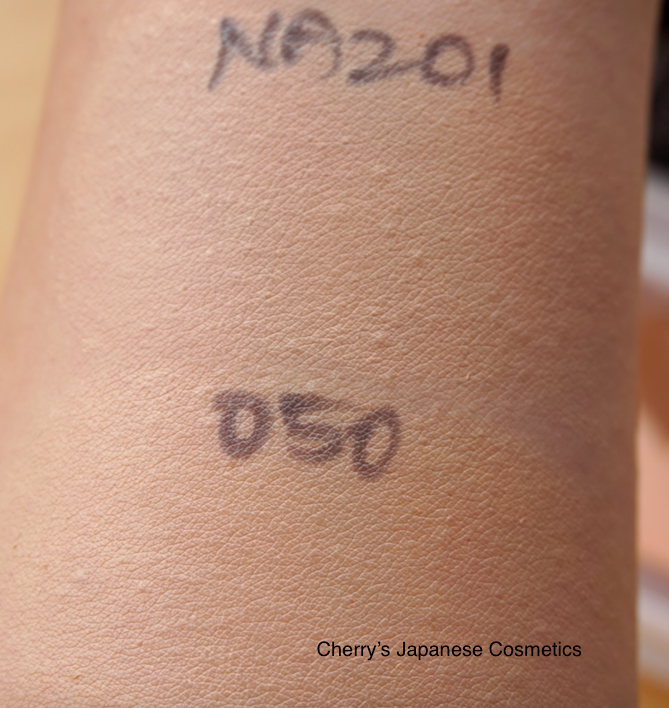 #040 is more likely shade to my arm of today. In my eyes, #050 has more yellow shade than #NA201. 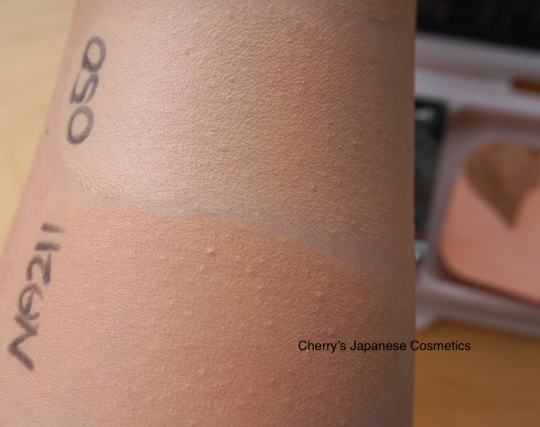 And Superior Cream Foundation has less shining by lighting, but the Tight Film is easy to shine by the lighting. 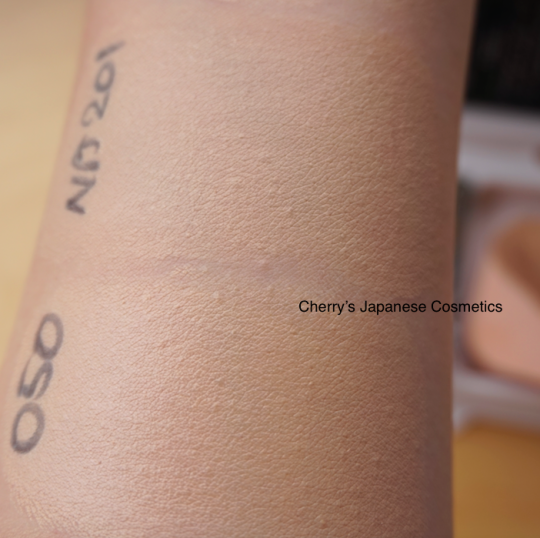 Tight Film is natural to glow finish on my arm. 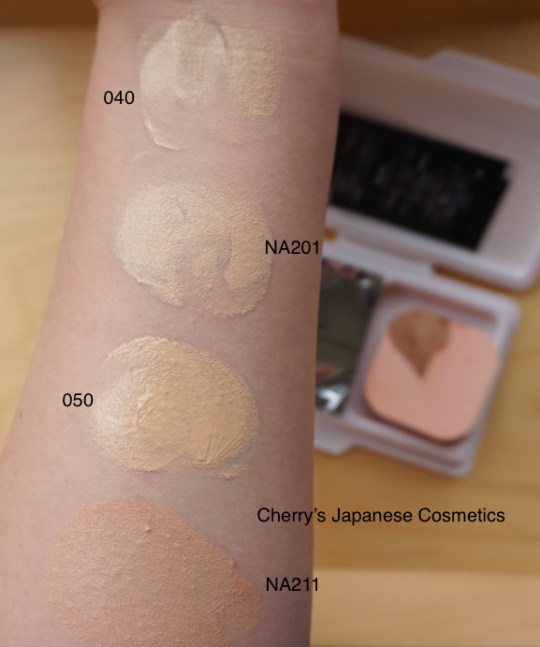 #050 & #NA211 are totally different shades. The finish is the significantly different. Tight Film #050 is glow. 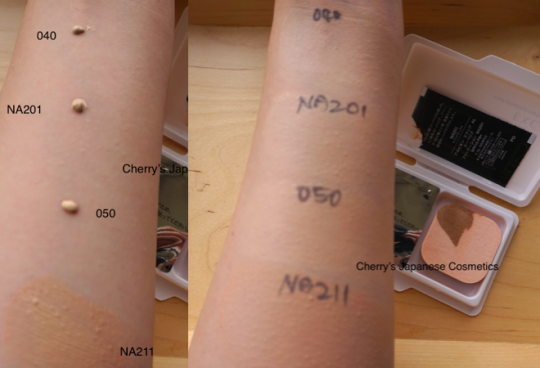 I am feeling Albion tends to be pinkish in their foundations, and #NA211 is not only pinkish but also much darker. It was interesting result for me 🙂 Hope it will help you.